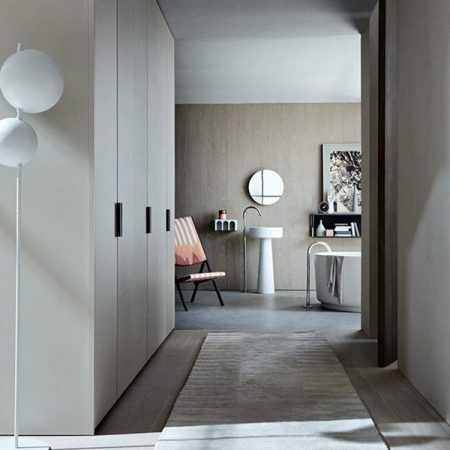 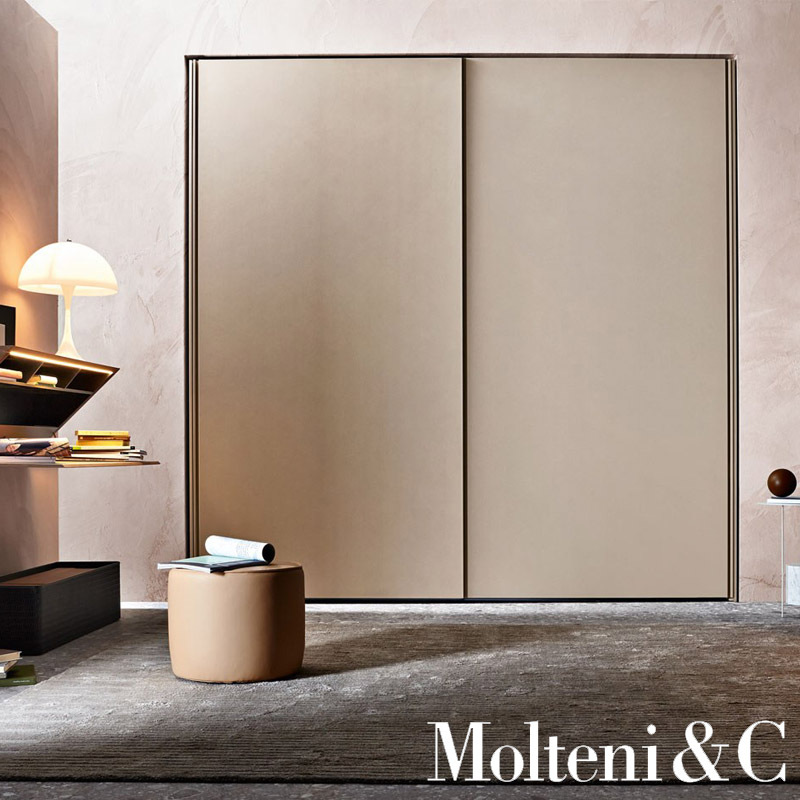 Gliss Master satisfies the desire for a new series of wardrobes that are at once technologically and aesthetically avant garde. 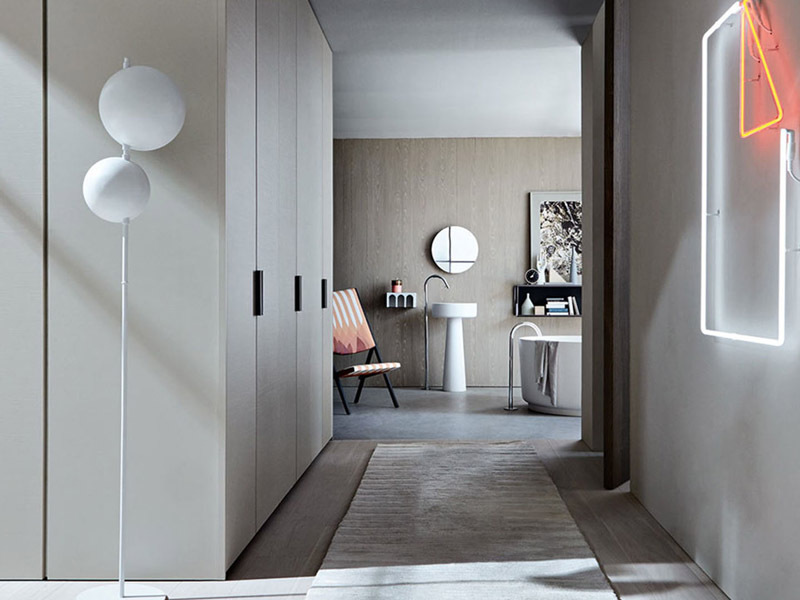 Gliss Master is a fortunate combination of purity of forms, use of materials and exclusive technologies that gives rise to a functional design, in which the visual and tactile aspects are key. 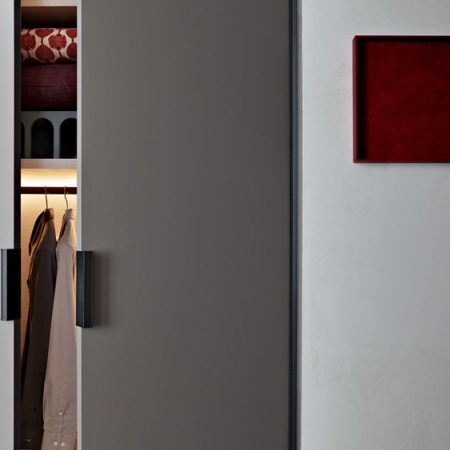 Grip allows solutions with hinged, sliding and flush sliding doors. 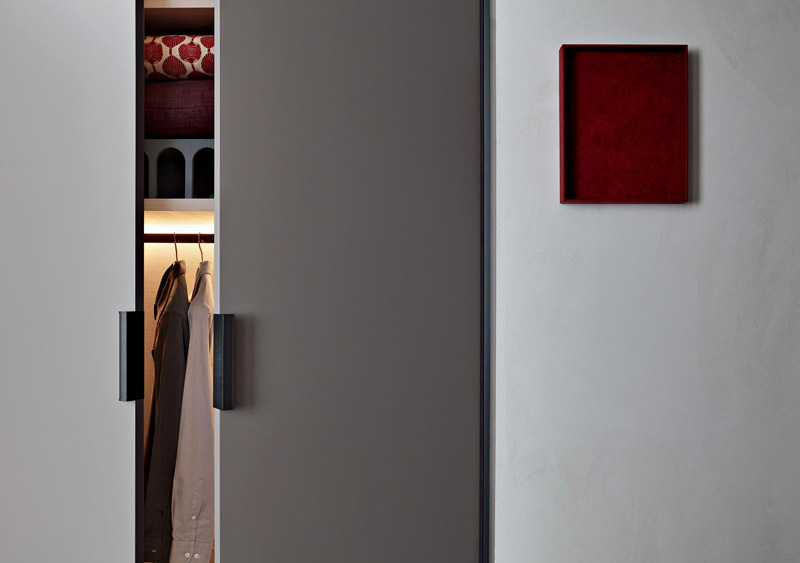 The handle, die-cast moulded, is applied to the side of the door and is available in pewter finish or pewter covered in eco skin. 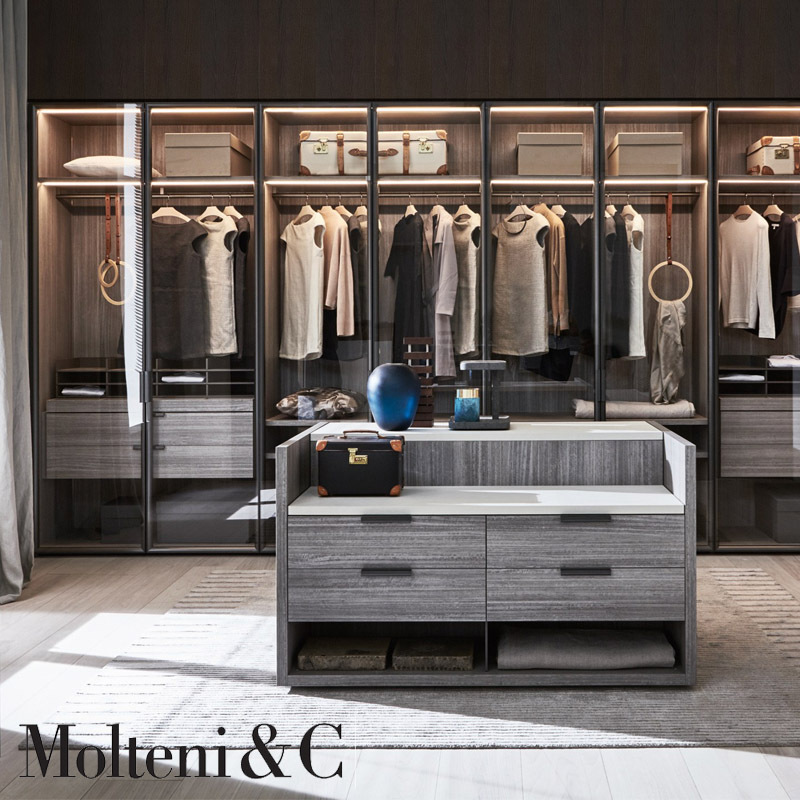 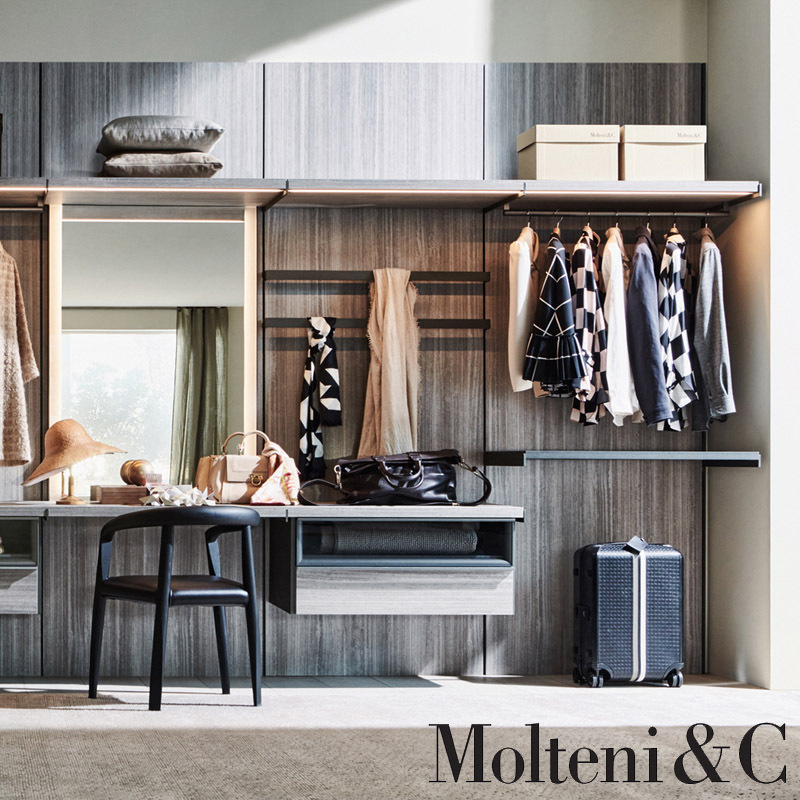 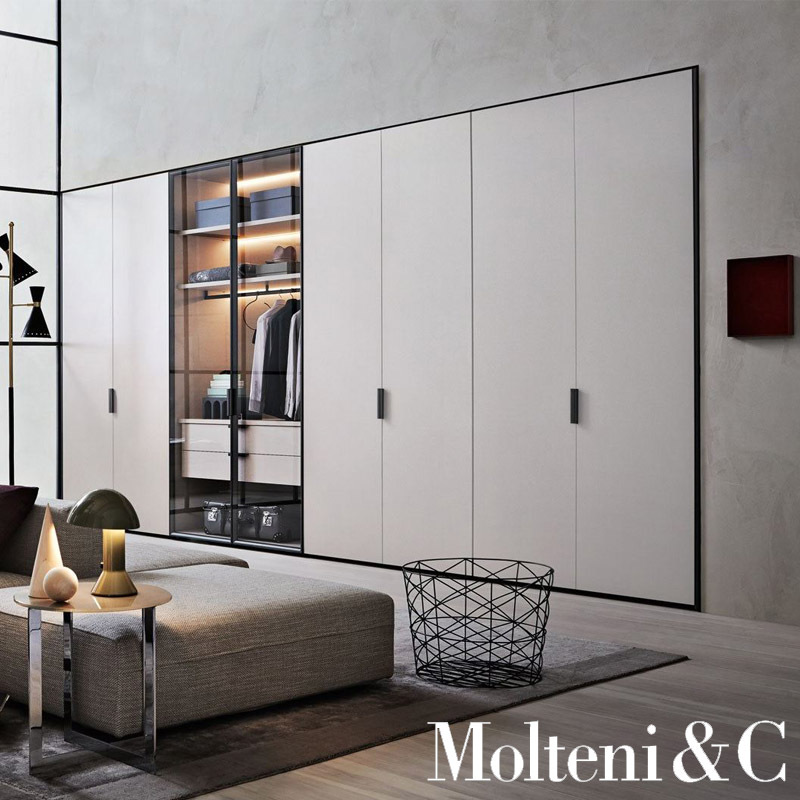 – Available finishes: melamine, matt lacquer, glossy lacquer, woods in the colors of the Molteni range. 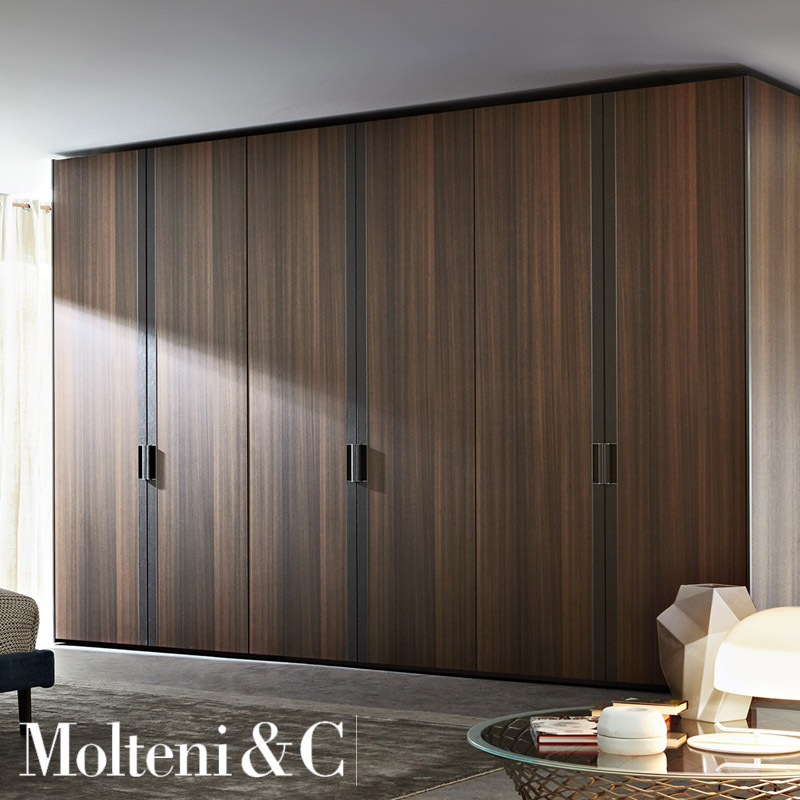 To receive a quote, please send the pattern of the composition with interior/exterior finishes and equipment.